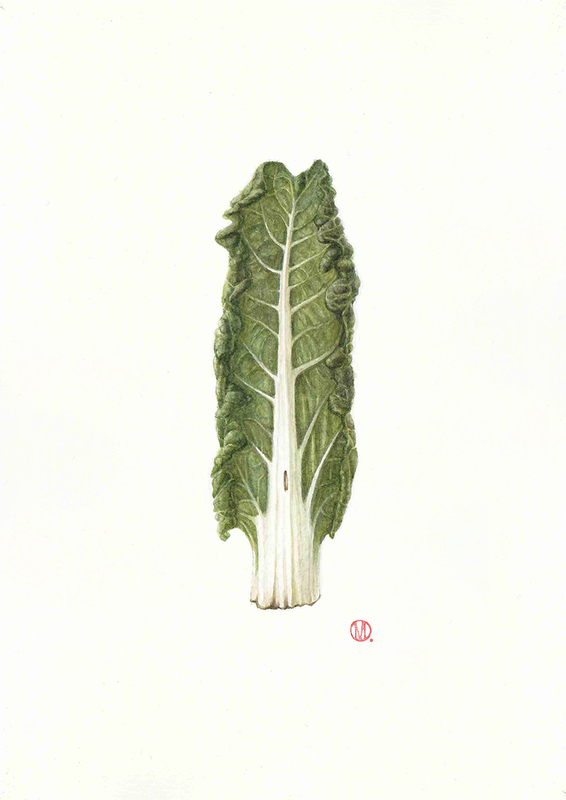 One of the paintings from my Food Portrait series in 2018, following my conceptual ritual – finding a unique character, drawing it to study and better understand it, painting it to best portray its essence, and then cooking with and eating it to complete the process. Through this exercise I can best enjoy and appreciate all the dimensions of the specimen – its form, colour, volume, texture, smell and flavour. (Mr Silverbeet was cooked in hot soup with soba noodles).